It can be very difficult to decide what you need to study when preparing for the NCLEX-RN. The test is made up of 8 main content areas. One of these areas is Management of Care, and according to the latest test plan, this area makes up the majority of test items containing 17-23% of the total items on the exam. That must mean it’s pretty important. But, what is Management of Care and what do you need to know about the questions in this content area? Of course, this list isn’t comprehensive but it gives you a good idea of the content covered in this section. What makes Management of Care so important? The ultimate goal of the NCLEX-RN is to determine if a test candidate can safely perform in nursing practice. If you look at the list above, you will see that many of the topics in Management of Care relate directly to this function. For example, establishing priorities is critical for nurses. When nurses are on shift, it is not uncommon to be managing patients with multiple, complex care plans. Nurses need to be able to determine what parts of patient care are priorities for safe and positive patient outcomes. Nurses must be able to understand their legal rights and responsibilities in a multitude of care environments to protect their patients and themselves. Nurses must also be able to effectively function as members of the total health care team. They need to be familiar with the scope of practice of those they can delegate to. Management of Care is important because it provides the structural backbone of nursing practice. How do the test designers know what to ask about Management of Care? Every few years, the National Council of State Boards of Nursing (NCSBN) performs a job analysis to determine what kinds of knowledge and skills are needed for new, entry level nurses. They use statements from this job analysis to guide the item writing process. 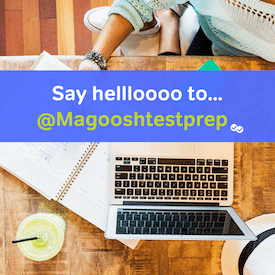 Luckily for you, the statements they use are included in the test plan, giving you even more insight into the topics you will see on the exam. What kinds of questions might I see related to Management of Care? Like all NCLEX-RN items, Management of Care items will focus on client needs. Test-takers will be asked questions that assess their knowledge of the topics as well as their ability to analyze and apply that knowledge to complex situations. Questions might focus on specific patient scenarios where the nurse will need to determine if it is safe or legal to delegate aspects of nursing care. Other common question topics in this content area can relate to determining what patient in the given scenario needs nursing care before other patients. Still more questions may focus on the ethical principles involved in patient care decisions such as advanced directives. These questions can also assess the candidate’s ability to recognize how things like privacy and confidentiality are supported and protected in the care environment. Questions may not always relate to patient care directly. Test-takers may be asked questions about what a nurse should do if unsafe practices are seen in the workplace. This helps to determine the candidate’s understanding of the full scope of legal and ethical responsibilities in nursing practice. Other questions could center around nurses having to determine their own limitations and when to seek help to provide safe care. Test-takers can even be asked about providing cost-effective care and time management as it applies to nursing practice. It might seem overwhelming at first but much like the other content areas on the NCLEX-RN, you can be successful with Management of Care questions with a little preparation and practice. Use the test plan as a guide to determine what you need to study and then seek out the resources you need to be successful. Common strategies for success include using free or paid test preparation and taking practice tests but you will need to decide what study methods best suit your needs. Management of Care is a complex test category that encompasses many parts of nursing practice but, now that you know, you can be better prepared. Happy Studying! Should I postpone my NCLEX-RN exam if I am afraid?